You’re in the midst of complex construction project and suddenly discover a critical problem. It could be serious, and you don’t have anyone representing your interests. What if you uncovered that same issue early in the project and with the support of an experienced, trusted partner? Consider that the cost for these services is typically less than one percent of the total construction cost and it can have a significant impact on the outcome of the project in terms of public safety, quality, structural integrity, schedule, and the long term maintenance and future repair costs over the life of the structure. Would you make that investment? Terracon’s quality assurance (QA) and quality control (QC) services help protect owners and contractors to help make sure bad things don’t happen to good projects. Using these processes, Terracon’s experienced professionals are observing, testing, inspecting, and documenting construction materials and related structural elements to make sure structures are safe for the public and the people who eventually end up using the structure and or facility. The U.S. construction industry has seen steady growth, bringing it back to pre-recession levels. With an additional 7.4 percent projected industry growth in 2016 (Peiffer, 2015) the demand for accelerating schedules and tightening of budgets has also increased. Project owners now, more than ever, need to have confidence that their projects are constructed as the design intended, while contractors need the assurance of knowing they are working with quality materials and their subcontractors are following the approved plans and specifications. When providing QA services, Terracon works for owners and or their design representative to make sure the building materials and components used for the structure meet the plans and specifications as well as the required state and local requirements which often reference code requirements, such as the International Building Code. For contractors, Terracon provides QC services by periodically reviewing their work throughout the building process and performing required quality control testing at the required frequency. Terracon will either represent the owner providing QA or the contractor providing QC, but not both, as that could be a conflict of interest. From a field inspection perspective, the QA and QC process can look very similar. The Terracon team communicates with field crews to make sure materials used on the project are in accordance with specifications and that testing reports indicate passing results for the materials such as soil fill and reinforced concrete elements. 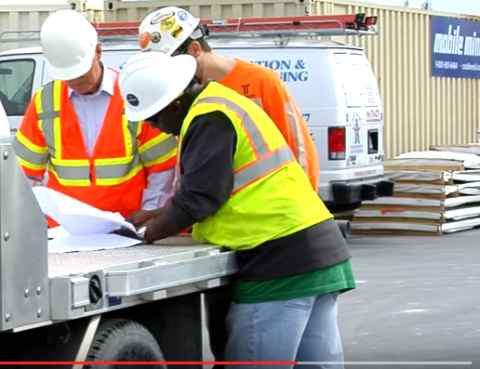 Terracon inspectors take an active role in monitoring construction activities to verify the work is being done as correctly, and quickly notify all parties when a test fails or an item does not meet required standards. Early and quick communication is critical to prevent delays in getting items corrected and keeping the project on schedule. The earlier Terracon can be involved the better. If we have performed the geotechnical design services, we can better assist in finding ways to improve efficiencies throughout the construction process. Terracon can offer assistance with plan and specification review, materials selection, as well as perform quality inspections at off-site fabrication facilities to ensure material shipped to a project meets the specifications. Typically, any time spent working proactively at the beginning of a project, saves money in the end. By approaching each project in collaboration with your project team, Terracon pays attention to the details. And with our extensive experience, we understand the project from the perspective of everyone involved – the designer, contractor, and owner— and bring a unique understanding of the entire construction process. Matthew Sloan, P.E., C.G.C., is the materials department manager for the Winter Park office located in the Orlando area. 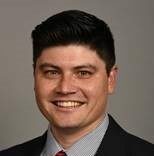 He has 11 years of experience in the geotechnical and materials engineering field, including geotechnical investigations, materials engineering and consulting, and roadway CEI project management.